What will happen to your superannuation (super) when you die? Not many of us have a quick and easy answer for this question. Maybe we haven’t really thought about it or we have but we haven’t made a decision. 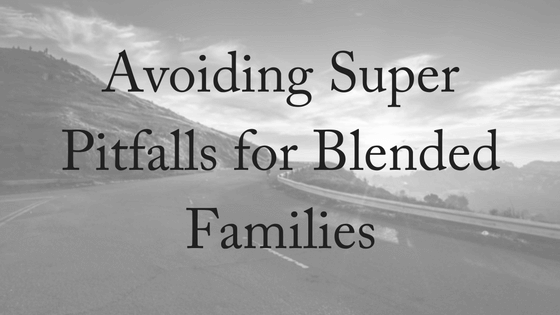 For blended families there are always greater complexities when it comes to estate planning, including super. Super is not controlled by your will when you die. Because it doesn’t form part of your estate it cannot be provided for in your will. It is considered a non-estate asset. Under superannuation law your death benefit can only be paid to your dependents – that is your spouse and your children. 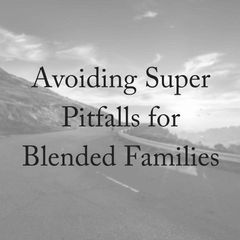 With blended families this can get very complicated and cause much angst if your wishes are not made clear and you do not have the appropriate legal structures in place for your super to go where you want it to on your death. Super is held by the super fund trustees on an individual’s behalf. When the individual dies, the trustees have the say in how that money is dealt with. Unless you have a valid binding death nomination then the trustee of the super fund has the discretion to decide what happens with your super. 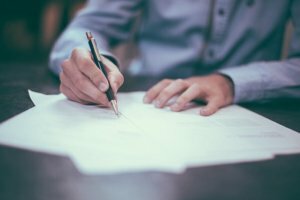 A binding death benefit nomination (or binding nomination) is a written document that gives directions to the super fund trustees about the dependents or legal representatives you wish to receive your benefit on the event of your death. So you might make a binding nomination to your estate so that on your death it becomes an estate asset, or you may nominate your spouse or children to receive the death benefit. These usually need to be renewed every three years for them to be valid. A non-binding death benefit nomination is just like a binding nomination except that the benefit can still be paid at the discretion of the trustees. If your circumstances have changed since you last updated your non-binding nomination and you die then it can work in your favour and go to any new partners or dependents from the ones you may have had down originally. Still – this is at the discretion of the trustee. Putting in place a binding death nomination is especially important for blended families. Anna Hacker, formerly the national manager of estate planning at Equity Trustees, says cases repeatedly show that even if super has been left to children from a previous marriage, trustees will usually make a different choice if there is no valid binding death nomination. “They would almost always choose a spouse over a child, regardless of what the person wanted, because the spouse is the dependant and super is for dependants,” she says. While nomination forms exist to take care of this problem of your super not being part of your estate, they are usually inadequate and fail to address more complex asset structures. Considering the potential size of the superannuation asset, it’s important to exercise control over the asset so that it’s disbursed according to your wishes. Bryan Mitchell says with SMSFs, even where there is a binding death nomination, caution should be taken in terms of trustees. As he says, “he, or she, who controls the bank account holds one of the keys to death benefit power”. “If the deceased’s new partner becomes the trustee of the SMSF, or gains control of the trustee company of the SMSF, perhaps because they are the remaining director of the trustee company, then he or she may have the ultimate discretion to pay the death benefit to themselves and not the children of the deceased,” Mitchell says. In one blended family dispute over superannuation benefits a legal bill of $370,000 has accrued, which is 40% of the benefits being claimed. Two daughters of the deceased from his first marriage and his wife from his second marriage are in disagreement about who should receive the death benefit from Maxwell Morris. He and his second wife were the sole trustees of the SMSF. There was a valid binding death nomination Mr Morris had completed which named his daughters from his previous marriage as beneficiaries. The Supreme Court of Victoria upheld the validity of the binding death benefit nomination after its validity was challenged by Mrs Maxwell, but the fund had been seriously depleted by legal fees she’d paid as sole director of the SMSF. At Estate Battles, we recommend that you look carefully at Binding Death Nominations, SMSF’s and a carefully crafted will. We can help you to look at what might be best for you and your circumstances. We offer a free, 10-minute phone consultation with our experienced estate lawyers. Please contact us today!